Our Super Dog Sunday™ Spirit has been extended by www.Kumfy Tailz.com. How? This wonderful company that has provided thousands of shelter dogs with therapeutic warming and cooling harnesses is at it again. They have offered to share thousands of dollars of their product with Petfinder.com shelters as well as a limited number with winners like you. You'll find a number of pet blogger reviews and giveaways popping up shortly. They will be offering a variety of ways to share the love. Watch for these coming soon on your favorite pet blogs as you peruse the Internet. When a pet owner seeks solutions for over-heating or hyperthermia, the Kumfy Koatz can solve their problems in both the coldest of Winters and the hottest Summers. The gel pack technology, when used according to instructions, will warm or cool Fido's inner core organs, allowing him to enjoy the outdoors for longer periods during intense weather. Kumfy Koatz are also wonderful for health issues and can be extremely useful at veterinarians' offices and shelters. 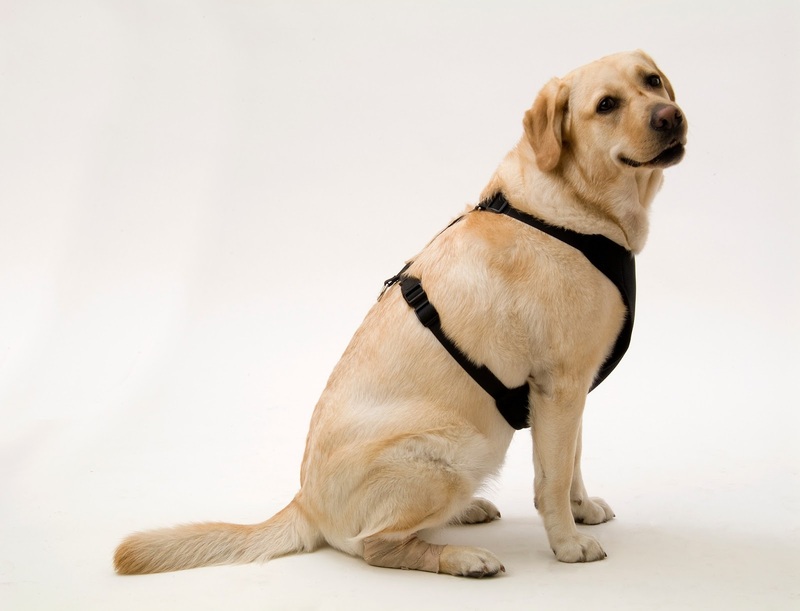 The outside layer of fabric on the Kumfy Koatz warming and cooling harnesses has recently been changed to a mesh fabric, available in numerous colors. Other than the fabric change, the product remains the same. The Kumfy Pax pouch slides easily into its pocket in the chest of the harness to help your dog’s inner core organs warm or cool as needed. Your dog can now spend more time outdoors in Winter cold or Summer heat. To learn more, follow the Kumfy Tailz Facebook page, follow on Twitter, or visit their website to see the new fabrics. 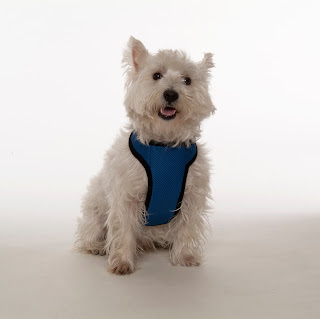 Our Event Barkers giveaway below will offer a neoprene version of the Kumfy Koatz to one lucky winner, along with an additional harness to be donated to the winner's Petfinder.com rescue or shelter of choice. All Things Dog Blog and DogTipper.com suggest that entrants locate a Petfinder shelter nearby by visiting this link. If you prefer a sure thing to an entry, simply visit the website to select and order your preference of color in the mesh fabric. The rascally Rafflecopter widget below is sometimes temperamental. If you don't see it, please click on the post title to refresh and it will come out to give you a hand with entries. Good luck! P.S. Be sure to check out Oliver's post and giveaway at 5 Minutes for Fido. You know you want to see his adorable modeling job....go now! Event Barkers is continuing their efforts to aid Petfinder shelters by facilitating this Kumfy Koatz giveaway and donation option for our readers and other pet bloggers. As with Super Dog Sunday™, we have donated our time and not taken a fee for this service to our beloved shelters. I like that it attaches at 2 points around your dog. Are there pouches available for cats too? I learned that Sissy loses most of her body heat through her chest. This would make our 1 mile walks a few times a day easier on her. It's heated in the microwave or cooled in the freezer. This sounds like an excellent product for people who travel with pets... not an excuse to leave the dog in the car (EVER), but as a way to be out and about while on vacation with your pet. Or perhaps while you are driving to your destination, the heater or a/c does not get in the back area of your car as well as in the front. This vest sounds like a great idea! I learned that the harness design is ideal for heating/cooling because that's were dogs have the least fur... unfortunately this isn't true of my sheltie! But I would be very happy to win this and give it a try. I think it would be great for agility. After outdoor runs in the summer, I do get very worried about Shiloh overheating. At trials they usually provide a hose or pool to cool down your dog, but Shiloh hates that. It'd be great to give this a try! Great to read all of your comments! dont touch my heart rate monitor watch - No we don't have a line for kitties yet. Our "office/printing manager" aka VP of Happiness would like to have one! KateV - Yes, we have had a number of people say how great it is for post-agility to quickly cool your dog down. You can purchase additional gel bags separately to switch out as needed, if you're outdoors for an extended period of time. I learned that it covers the core where most of the major organs are. I would love to have this for Shiloh, as we hardly get to do anything in the summer because he gets so hot.